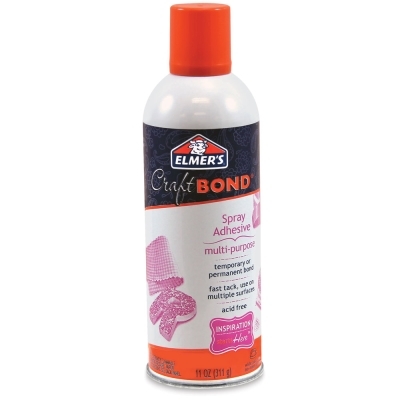 Elmer's Craft Bond is an easy, fast-tack solution for permanent or temporary bonding of a wide variety of materials, from paper to fabric to photos. Craft Bond is acid-free and water-resistant. It resists bleed through, and dries fast and clear. 11 oz (311 g) net weight.